It’s sad news today as we hear of Sony’s intention to sell their PC business. The VAIO brand will go to Japan Industrial Partners, be re-evaluated and reduced to Japanese marketing operations only. The chances of us ever buying a VAIO laptop or Ultrabook outside Japan now look very slim indeed. In a press release Sony state they have concluded a Memorandum of Understanding to sell the VAIO brand and business with terms to be agreed by end of March. “…the Company has determined that concentrating its mobile product lineup on smartphones and tablets and transferring its PC business to a new company established by JIP is the optimal solution.” they say. The planned (global) Spring lineup will go ahead and with design, development, manufacturing and sales employees being transferred to the new company there are signs that new VAIO products can be expected in the future; Just not globally. Following reevaluation of the product lineup, the new company is expected initially to concentrate on sales of consumer and corporate PCs in the Japanese market and seek to optimize its sales channels and scale of operations, while evaluating possible further geographic expansion. Don’t expect that Spring lineup to reach everyone. It looks like even JIP don’t think there’s a global VAIO market anymore, at least for the time being. From the Sony UX to the Vaio Duo Sony have shown great engineering skills and have always been somewhat daring. At MWC last year we were impressed with the Tap, Flip, Duo and Pro products but maybe it’s the ability to explore those new form factors and take risks in the contracting PC market that’s the issue here. 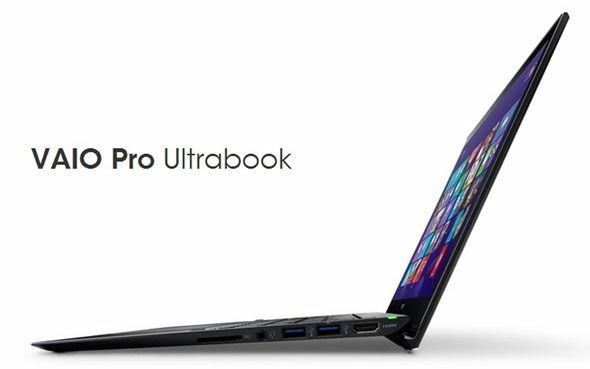 Slow ultrabook sales claim their first victim? I think that was Acer. Then again, they probably would still be in the same bought had they not gotten into the ultrabook market. A dark day in the Sony fan world. Doubt we’ll see any new models at computex from Sony, perhaps only CPU and GPU upgrades. Well Sorry Sony there is always Samsung ect. for me it has been alot of Samsung lately. Thanks for the posting this data Chippy. sony has been making the only ultrabook that were worth their $$$ lately, so this is sad indeed. One of the things I always admired about Sony laptops was that, if you had more money than sense(! ), Sony was always there for you (eg Vaio Z, etc). Who will fill this gap now? Can you elaborate on how they were there for you? Are you talking about tech support when something breaks? Maybe they provide updated BIOS and drivers unlike other OEMs who never update them? Very high-specced laptops are always going to be a niche market. And there’s nothing intrinsically ‘good’ about offering them, nor ‘bad’ about not offering them. But Sony did always used to include one ‘top-of-the-range’ laptop within their portfolio, which could compete – in specification terms – with anything their competitors could offer.